LinkedIn is the #1 social network for business professionals. This makes it the ideal social network to join for students who are looking to enter the workforce. The key is to create a great LinkedIn profile that will grab the attention of potential employers and show them why you would be the best candidate for the job. In this guide, we’re going to show you how you can optimize your LinkedIn profile to land a job. As a leading social media agency, Zion & Zion puts a strong focus on not only our company profile, but also those of all our team members. Having a well optimized LinkedIn profile has proved successful. 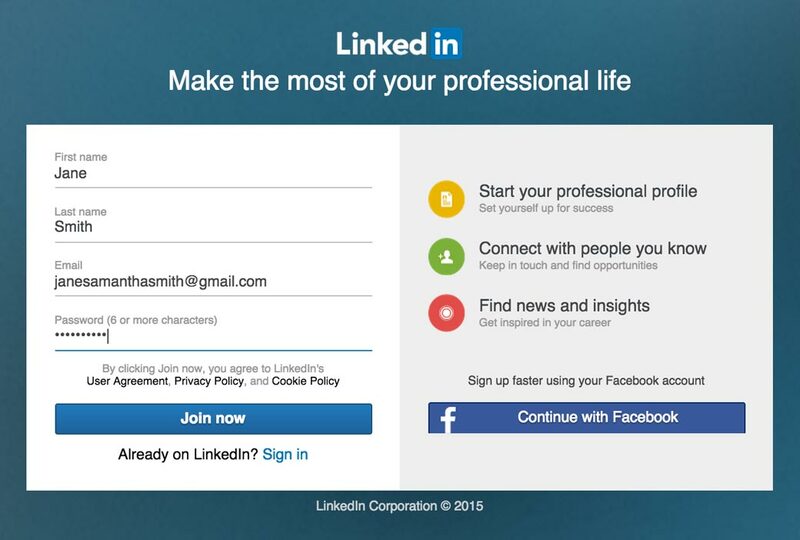 If you haven’t already, you will need to create a LinkedIn account to begin. You have the option to sign in with your Facebook account or create an account using your email address. As part of your professional image, you will want to make sure you use a respectable email address to which you will always have access. mspartygirl15@yahoo.com might have been fun while you were in college, but it is far from professional. And janesmith@asu.edu won’t be yours forever. Having yourname@gmail.com as an email address or your own domain (you@yourdomain.com) is considered leading edge, whereas AOL, Hotmail, and Yahoo signals to potential employers that you are not tech savvy. Even if you are not applying for a technically challenging job, showing that you are professional and tech-savvy can help you move up the corporate ladder. Next on the list when setting up or optimizing your LinkedIn account is adding your profile photo. For this, you will want to use a professional headshot. It should be a photo that is you from the shoulders up, facing the camera and wearing professional attire. Think of your LinkedIn profile photo as your first impression with potential employers. You will want to make that impression as professional as possible. Beneath your profile photo, you should see a LinkedIn URL. You can click on this and customize it with your name. 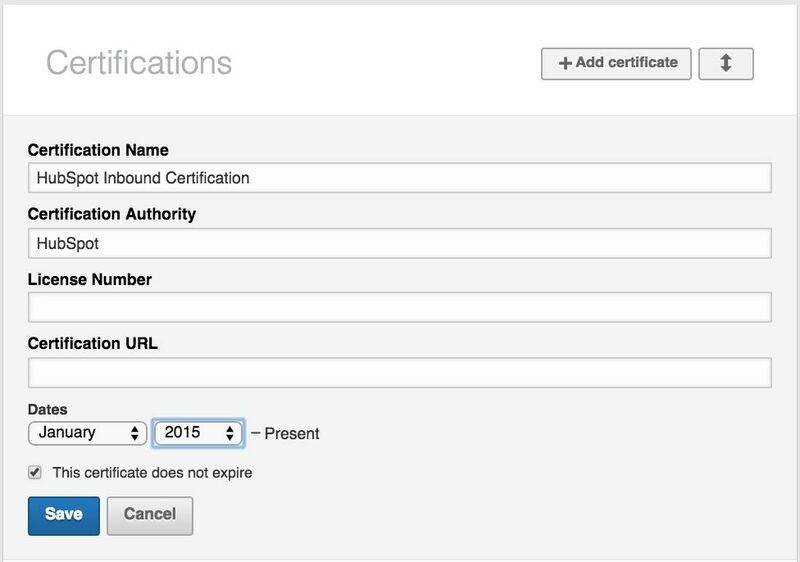 A custom URL is easier to remember so you can share your LinkedIn profile with others. It also shows potential employers that you know your way around LinkedIn. Help potential employers contact you about job opportunities by updating your contact info. Use this section to add your website, Twitter, email address, Skype handle, and phone number. You may not wish to add your physical address to your LinkedIn profile, as this information can be found by others. Similar to the Facebook cover photo, LinkedIn lets members add a 1400px x 425px background image to the top of their profile. 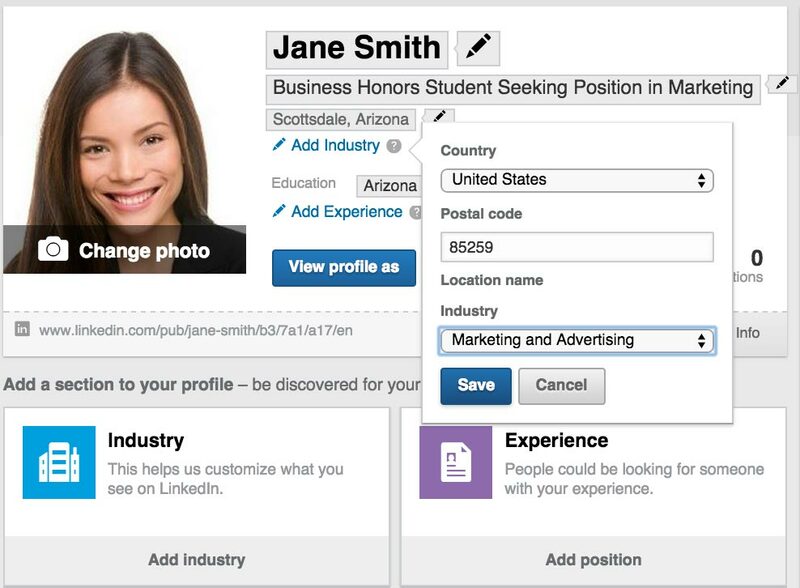 While it’s not required, it can make your LinkedIn profile stand out from others. You can use a simple photo that represents you, the industry you are interested in working in, or similar. You can also use tools like Canva to create a modified Twitter header that can be used as your LinkedIn background image. 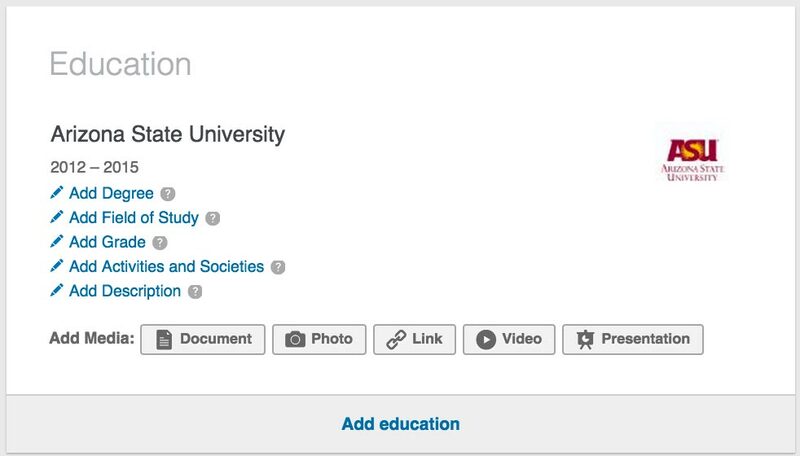 You can fill your LinkedIn profile up with a variety of different sections that represent your educational, professional, and personal accomplishments. Anytime you want to add a new section to your LinkedIn profile, you can go to the LinkedIn guided profile setup. Clicking on that link will reveal the sections that are available to you to add to your profile. Once you are taken to your LinkedIn profile, the first thing you will want to do is add a headline. When you sign up as a student, your default headline will be that you are a student at your university. Your headline appears next to your profile in different areas throughout LinkedIn, including search results. So if you are actively seeking employment, let people know with headlines like the following. A unique headline should help you stand out from other LinkedIn members in search results and when you are applying for jobs. The next section of your LinkedIn profile should be your summary. This section allows you to introduce yourself to potential employers with a short paragraph about who you are and what you are looking for on LinkedIn. If you’re not sure what to write, you can follow the advice offered on Forbes. They suggest defining your ideal audience (who you want to read your LinkedIn summary) first. Then share with them your achievements, values, passions, superpowers, facts, figures, stats, differentiation (what makes you standout), and external validation. In addition to writing a text-based description of yourself, you can also add media to your summary section. If you are applying for a job where video creation skills will be necessary, you can upload examples of videos you have created. If you are applying for a job where presentation creation skills will be necessary, you can upload examples of PowerPoint presentations you have created. These can be media that you created for school projects or on the job. For media you created for employers, make sure that you can publicly share the media. Some work you may have done for a company’s clients may not be re-publishable. You can also create some example media just for the purpose of impressing potential employers. You could even go the extra mile and create media that is customized for the companies to which you want to apply. For example, you can create an example sales presentation of how you would sell a particular product the company offers. This approach could go a long way in impressing potential employers. If you are looking for employment in a specific industry, be sure to select it on your LinkedIn profile. This selection will help potential employers discover you when they search for candidates in your target industry. If you have work experience, you will want to add it to your LinkedIn profile. This includes internships and jobs you’ve taken at your university. Ideally, you should look at the job descriptions of the positions you want to apply to and edit your descriptions to include any experience that is relevant. You should also include any results you gained during your job experiences if applicable. 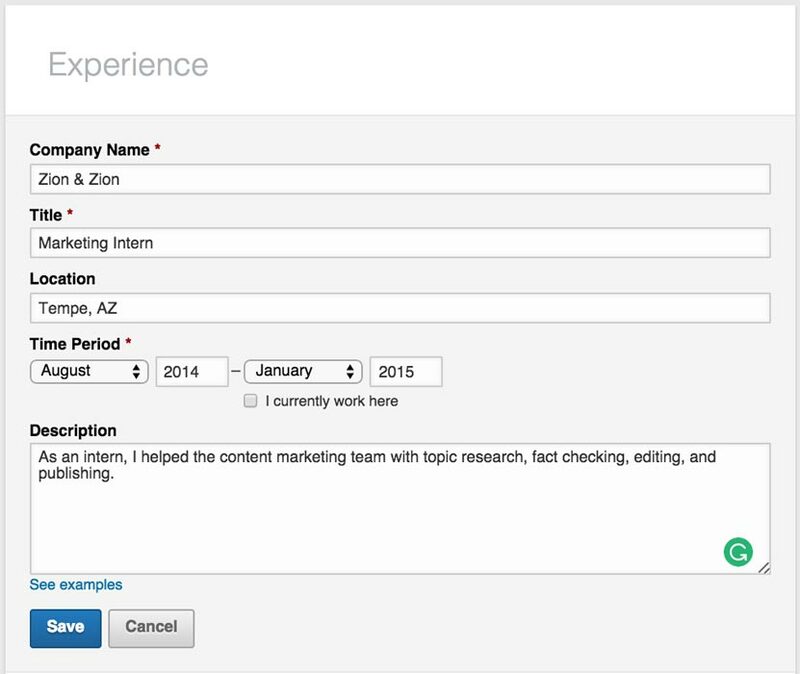 In addition to writing a text-based description of experience, you can also add media to your work experiences. Since you can add media to both your main summary section and each of your work experiences, prioritize the items you share like this. Your best work in the summary section. Your work from specific work experiences where applicable. If you have no current or past work experience, that’s alright. According to career experts, you should still include a current work experience that shows your interest in a particular position. For example, you could include the job title of Marketing Analyst under the company name “Seeking New Opportunities” as your present work experience. 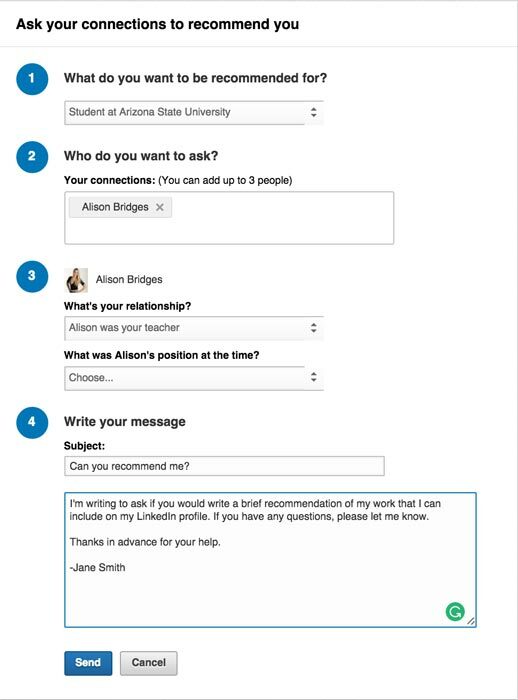 The Skills and Endorsements section allows you to add any skills you have learned in school or gained through work experience to your LinkedIn profile. You will want to add skills that are most relevant to the jobs to which you are applying. Also, think of these skills as keyword boosters that help potential employers find your profile in search results. If you want to be discovered for your marketing skills, add as many relevant marketing skills to your profile as possible. Once you start growing your LinkedIn network, people will be able to give you quick endorsements for the skills you add to your profile. Therefore, make sure the ones you add are the ones you for which you want people to give you credit. Be sure to add additional detail to your education section to help potential employers gain insight into your educational background. Go beyond just describing your degree and your GPA. Include activities and societies you participated in while in school. You never know when a potential employer may have a personal interest in tennis. Just having that little thing in common might help you connect and have a great discussion during your job interview. In addition to the education you have completed, include the education you plan to pursue. 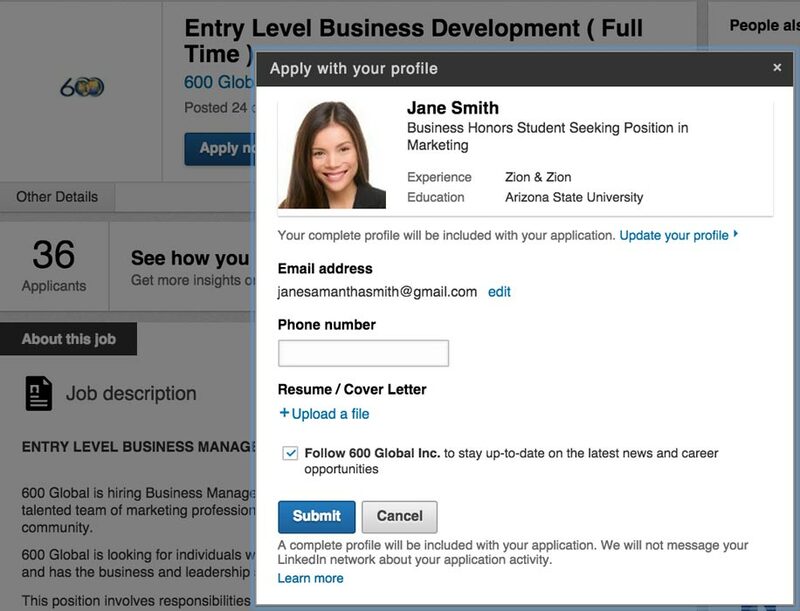 LinkedIn allows you to enter an expected graduation date, so students who may have just finished their undergraduate degree may also want to add their intention to pursue their masters. LinkedIn offers a courses section that you can use to highlight courses relevant to the jobs to which you are applying. For example, if you are applying for a marketing position at a sports-related business, listing a course that you took on the essentials of sports businesses is highly relevant. You can also use this section to add courses you have taken that are relevant to the jobs to which you are applying, but are not obvious based on your degree. For example, you could include your advanced courses in Spanish and Italian to let potential employers know that you are trilingual, which could make you a valuable asset. Certain test scores that relate to your intended career should be included on your LinkedIn profile. For example, if you have an impressive GMAT score, you may want to share it. If you haven’t started or completed your MBA, your test scores will show potential employers that you have the potential to do so. LinkedIn is the place to be proud of your accomplishments and showcase them. 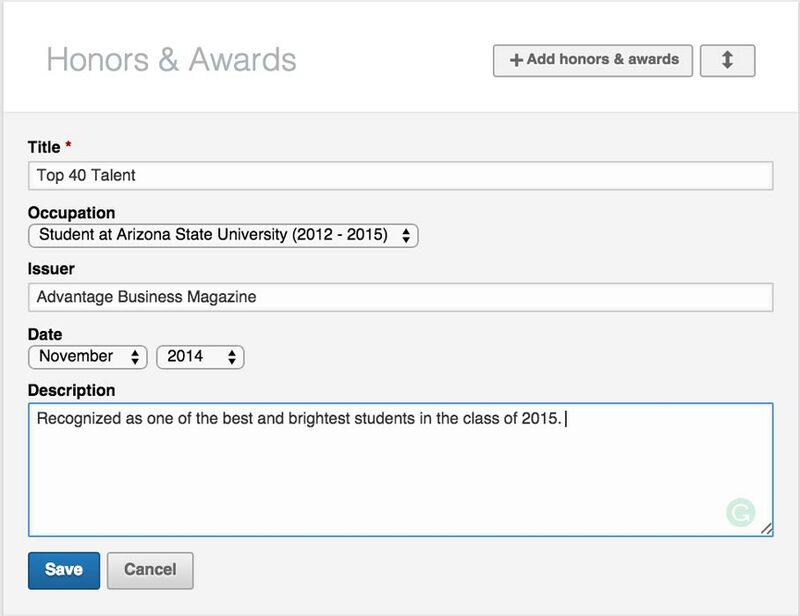 If you have received special honors or awards, be sure to share it in the Honors and Awards section. These listings will show potential employers that you stand out from other graduates with special recognition from reputable authorities. Volunteering experience can make a great impression on potential employers. Research has found that 1 out of 5 hiring managers have chosen a candidate based on their volunteering experience. If you don’t have experience volunteering, it may be something to invest some time in. It can count towards your work experience while also allowing you to do good for others. You may even meet some great career connections along the way. 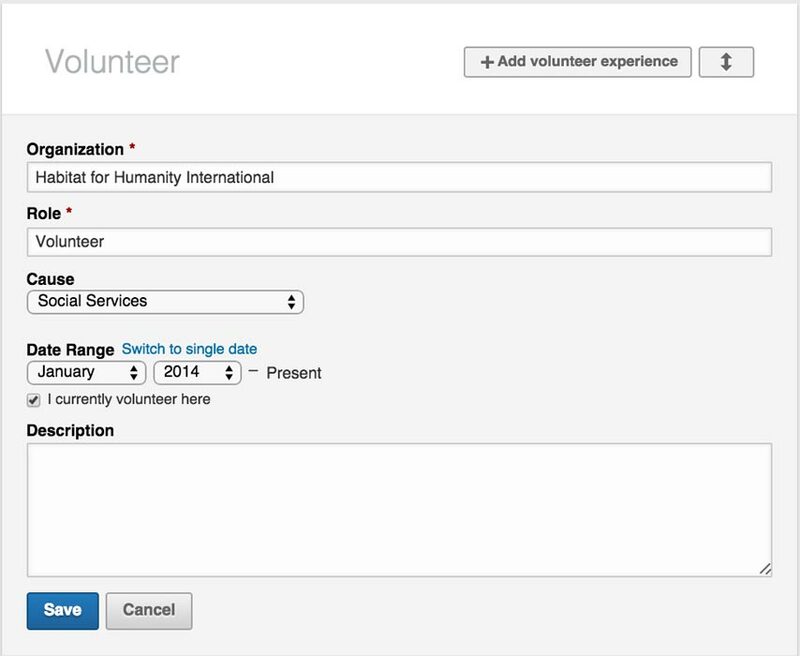 For those without volunteering experience or those looking for new volunteering experiences, you can add a volunteer opportunities section to your LinkedIn profile. This section will let people know what types of volunteering opportunities to which you are willing to commit. 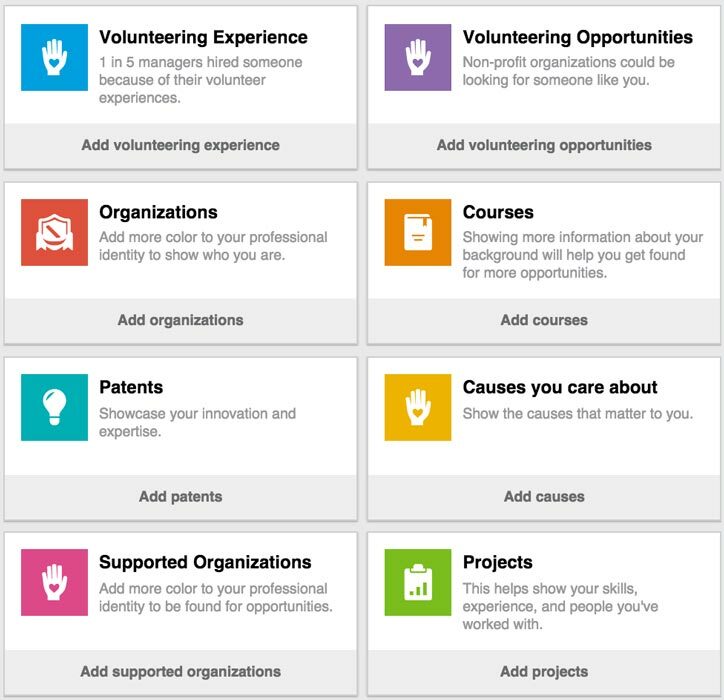 You can also add a section for causes you care about to help people discover you to support specific causes. If you’ve received training and certifications outside of school that relate to your intended career, be sure to list them in the Certifications section. Having additional certifications can show potential employers that you are open to continuing education to make yourself a more valuable employee. Language skills are highly valuable assets when looking for a job. If you have studied another language, include it in the languages section of your profile. 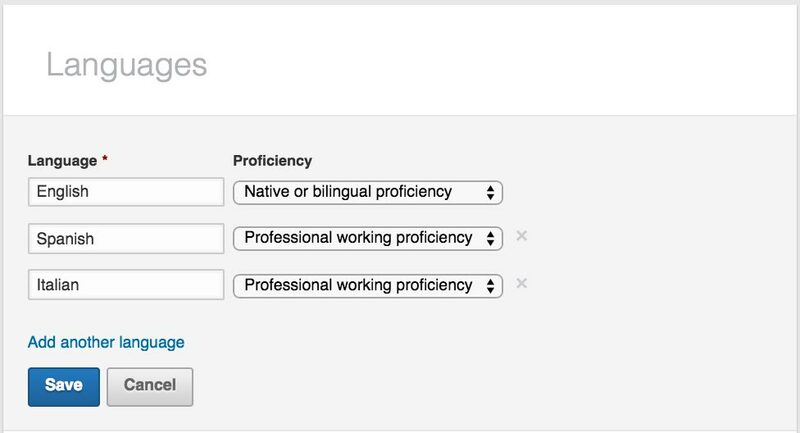 Be sure to select your proficiency level carefully so that potential employers know how comfortable you would be communicating with their international contacts. LinkedIn offers a section where you can give others advice on how to contact you. Simply add a sentence or two on the type of opportunities you would like to be contacted about and how people can get a hold of you. While it feels like a repeat of your contact info, remember that someone might read all the way to the end of your profile and not want to scroll back up to get your contact information. 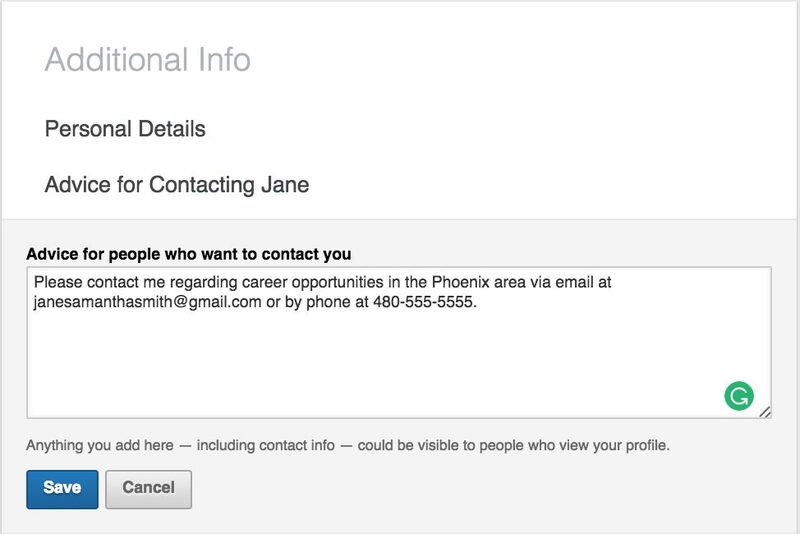 This section makes it easier for potential employers to contact you when they are ready. As mentioned earlier, potential employers could find a connection with you through your personal interests. Be sure to add yours in the personal interests section. Personal interests can help you portray a well-rounded image, so consider adding hobbies, sports, and intellectual pursuits. Share links to books, magazine articles, and other publications you have authored or co-authored that relate to your intended career. Share the professional organizations to which you belong that relate to your intended career. Share innovations and expertise that relate to your intended career. Share details about specific projects you have worked on personally, in school, or at a job that relate to your intended career. Also, as you add to your list of educational, professional, and personal accomplishments, be sure to update your LinkedIn profile accordingly. Joining and participating in groups on LinkedIn allows you to show potential employers that you are interested in your industry. It can also help you grow your LinkedIn network. You can search for groups and join ones that relate to your industry, field of study, university, and region. You can also find many that allow you to connect with others who are searching for employment. Be sure to actively participate in groups in order to raise your visibility within them. A potential employer may discover you from your discussions and want to connect with you. Once you have completed and optimized your LinkedIn profile, you will want to begin building your network. Unlike Facebook, where you want to connect with friends, family, and other random people who share common interests, your LinkedIn profile should be kept strictly professional. LinkedIn prefers you connect only to people you know and trust. People connected directly to you because you’ve accepted their invitation to connect, or they’ve accepted your invitation. You’ll see a first-degree icon next to their name in search results and on their profile. You can contact them by sending a message on LinkedIn. People connected to your first-degree connections. You’ll see a second-degree icon next to their name in search results and on their profile. You can send them an invitation by clicking Connect or contact them through an InMail (LinkedIn’s paid messaging system). People connected to your second-degree connections. You’ll see a third-degree icon next to their name in search results and on their profile. If their full first and last names are displayed, you can send them an invitation by clicking Connect. If only the first letter of their last name is displayed, clicking Connect is not an option but you can still contact them through an InMail. People considered part of your network because you’re members of the same group. You’ll see a Group icon next to their name in search results and on their profile. You can contact them by sending a message on LinkedIn or using your group’s discussion feature. LinkedIn members who fall outside of the categories listed above. You can contact them through an InMail. 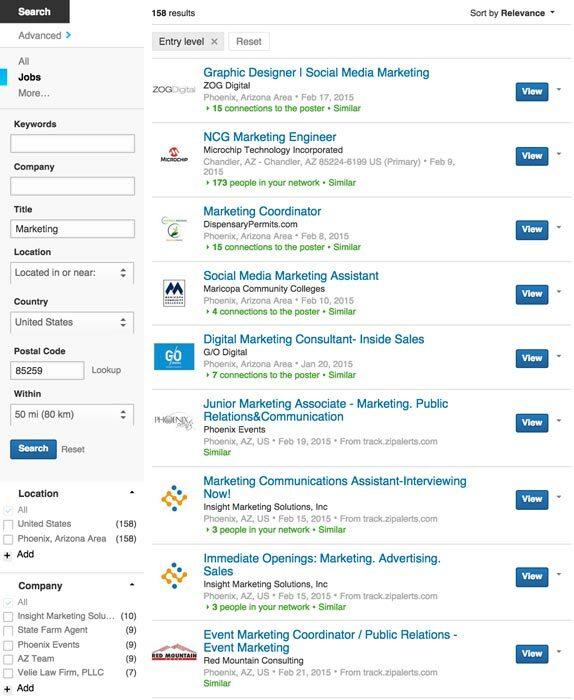 When potential employers use LinkedIn’s people search, search results will be in order of first-degree connections, second-degree connections, third-degree connections, group connections, and then those who are out of network. Therefore, the larger your LinkedIn network is, the more likely you are to be in someone’s second or third-degree connections. Thus, the more likely you are to be discovered. The ideal people that you would want to connect to on LinkedIn fit two categories. First, there are the people that can write recommendations for you to add to your LinkedIn profile for potential employers to review. They are your classmates, professors, co-workers, and colleagues that are willing to vouch for your skills and praise you for the work you did with them. Second, there are the people that can get you to where you want to be in your career. They are the people that you know who work for companies you want to work for and potential employers. With all of these things in mind, you can start building your LinkedIn network by doing the following. Visiting the Add Connections page and using your email address contacts to find people you already know on LinkedIn. Use the Find Alumni tool to find classmates and professors at your university to connect with. Search for people that have worked at companies you have worked for to find your coworkers and colleagues. Visit the People You May Know page to find people you may know based on information on your LinkedIn profile and people in your network. Add a link to your LinkedIn profile in emails that you send to get more people you know to connect with you. Growing your LinkedIn network is a continual process. You don’t have to do it overnight—you can add a few connections here, and a few there to slowly build a network that will help your career. 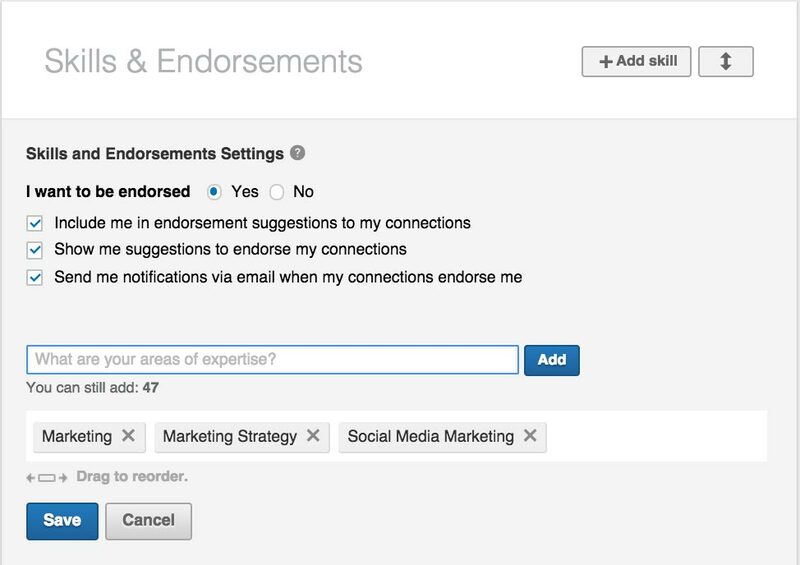 As you visit your connections’ profiles on LinkedIn, you will be asked to endorse each person for their skills. When you do this, they will be notified that you have endorsed them. When they visit your profile, they will have the option to endorse you for skills you listed in your profile’s Skills section. Be sure to endorse your connections as you make them so they will return the favor and boost your endorsements. Once you have added classmates, professors, co-workers, and colleagues to your network, you can request recommendations from them by visiting the recommendations manager. While you have the option to send recommendation requests to up to three people at a time, it’s best to send a request to people individually. This way, you can personalize the request so people know what they are recommending you for, such as a specific project or work experience. The ideal time to send a recommendation request is when you have just completed a major project together. If the person compliments you on your work, you can use that as an opportunity to ask the person to connect with you on LinkedIn and share their compliment with you as a recommendation. Once you have started building your LinkedIn network and have some endorsements and recommendations, you are ready to start using LinkedIn for your job search. You can begin by using the Advanced Job Search to find job listings that match your interests. 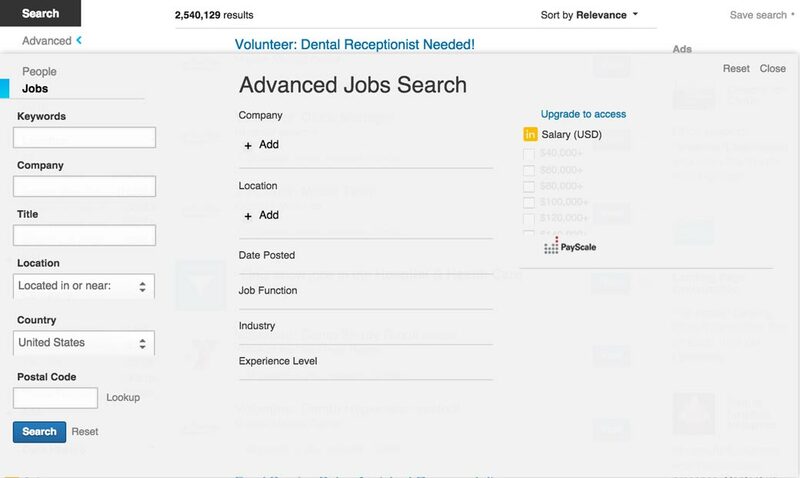 In the search results, you’ll see all of the available job listings along with which ones you have mutual connections with the poster or with people who work at the company. 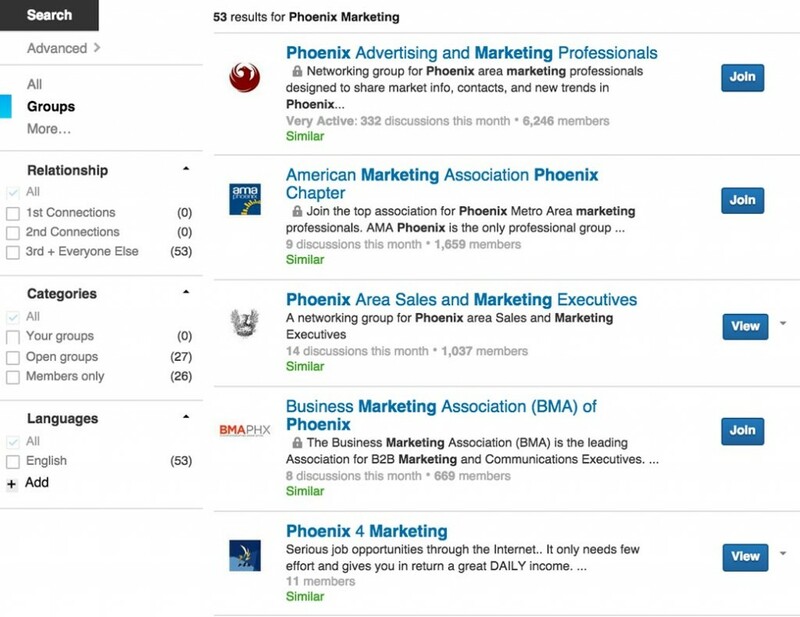 You will first want to look at your mutual connections to see if you know someone well at one of these companies. Depending on how well you know mutual connections, you can apply for the job and let your mutual connection know that you are interested in working with their company. Hopefully, your mutual connection will personally recommend you to the hiring manager. If you don’t have mutual connections, you can simply apply to the job using your LinkedIn profile. 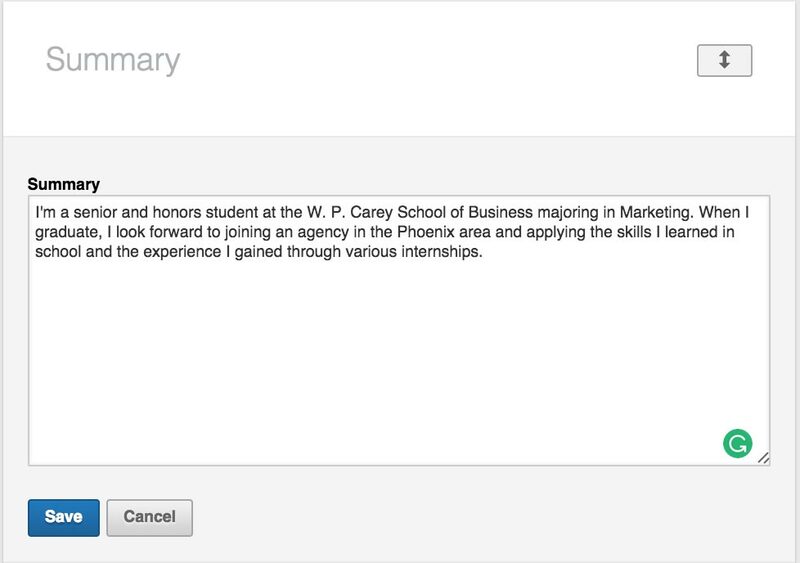 Be sure to upload a strong resume and cover letter along with your application. Although your LinkedIn profile should have all of the information a potential employer will need, having the resume and cover letter will appeal to more traditional hiring managers who prefer to print out your pertinent information. You can visit Stanford’s Career Development Center (or your university’s) to get tips on resume and cover letter writing geared towards college students. 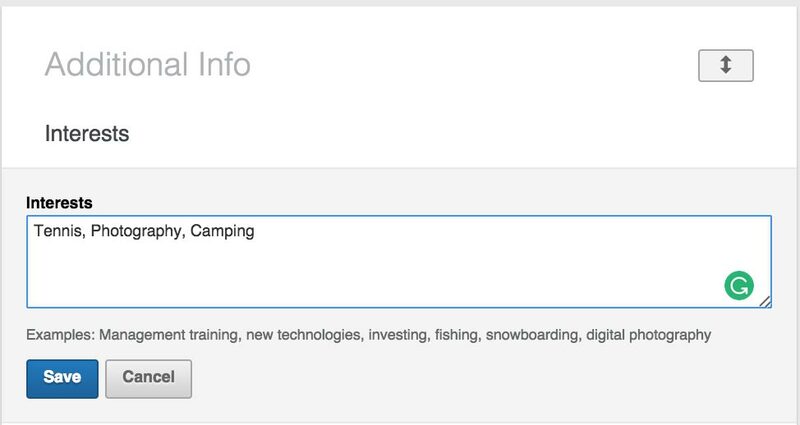 Featured Applicant status when you apply for jobs on LinkedIn. Applicant insights so you can learn about other job applicants for positions in which you are interested. See who has viewed your profile on LinkedIn so you can follow up with potential employers who may be interested in you. Let potential employers see your full profile, even if they are out of your network. The Job Seekers premium account option is $29.99 with a 30-day free trial. If you are actively seeking a job, it never hurts to try one-month free and get a little advantage with your search. We hope you have enjoyed this guide to optimizing your LinkedIn profile and that it helps you land your dream job!